Choosing the right credit card can offer you significant benefits – if you use your card wisely, you can earn rewards and money. According to Forbes, a good credit card can also provide you with price protection, cash back on purchases, warranties, and other money-saving benefits. With the countless different credit cards available, it can be confusing to figure out which card is the best choice for your needs. Here’s what you should consider when you’re trying to choose a credit card, and how you can best put that card to use. Different credit cards offer different perks – and some are better than others. However, if a credit card doesn’t offer any perks you’ll actually use, then it doesn’t have any value for you. Rewards are the most popular credit card perk. Rewards credit cards offer perks such as travel or cash-back rewards. If you love to travel, having a travel rewards card will allow you to earn nearly-free vacations. If you prefer putting money back in your pocket, a cash back card will give you exactly that in the form of a check, gift card, or account credit. Another type is a specific points or rewards category card that’s co-branded. Co-branded cards are branded with hotel chains, airlines, or stores, like Marriott Hotels, Southwest Airlines, or Nordstrom. These cards let you redeem rewards within the company’s loyalty program or store only. However, if you have a co-branded card, the airline, store, or hotel may limit how you can redeem your rewards. 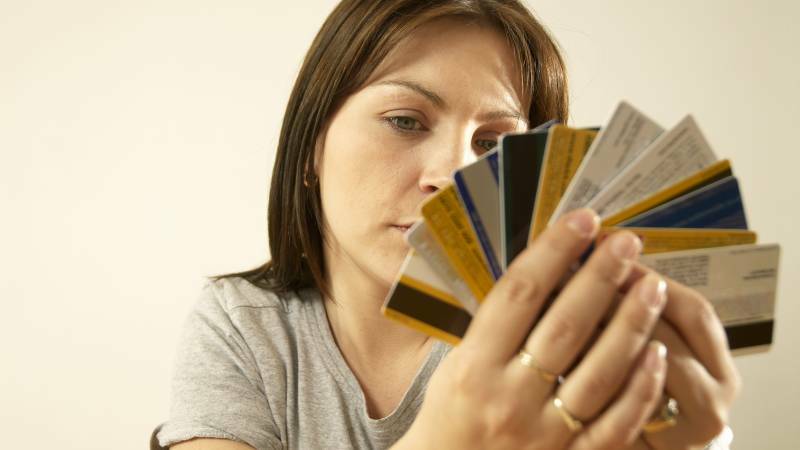 According to Time, it’s important to choose a credit card that matches your spending patterns. If you tend to carry a balance from month to month, you’ll want to choose a credit card that offers a 0 percent introductory rate on balance transfers. However, if you’re unlikely to pay off your balance during the introductory period, you should instead look for a card with the lowest fixed rate available. If you pay your balance in full each month, a rewards card may be a good choice for you. For this type of credit card, look at the categories on which you spend the most and choose a card offering higher awards in those spending categories. Finally, if you have a limited credit history or have bad credit and are unable to qualify for a regular credit card, a secured card may be a good choice. Secured cards require you to pay a deposit equal to your credit limit. If you fail to pay, the company will take your deposit. Secured cards can help you to build your credit if you make your payments on time. After you choose your new credit card, you’ll want to be smart about using it so you get the most benefits. With the right moves, your card will help you earn free money. As a Way to Earn Free Money: If you chose a cash rewards or travel rewards card, you’ll want to make sure you’re spending money in the right rewards categories. Does your card offer 5% back on all grocery and gas purchases? Stick to using credit for those transactions. Do you get 1 point per dollar on travel bookings? Use your card for all travel expenses. As Protection Against Merchants: Credit cards offer protection against merchants. If you see an invalid charge on your statement, you can dispute it. Many cards also offer price protection; if an item goes on sale within 60 or 90 days of your purchase, you’ll get the difference back. As a Substitute for Car Rental Insurance: Many credit cards also provide free car rental insurance. Pay for a car rental with your card, and you’ll never have to opt into the rental company’s overpriced insurance again. As a Way to Eliminate Interest from Other Credit Cards: New credit cards mean you get a chance to take advantage of generous 0 percent introductory offers. If you have a balance on a high-interest credit card, transfer it to the new card and pay off your balance during the introductory period for less. As a Way to Build Credit: Many credit cards help you build credit. If you have a limited credit history, get a credit card with a low limit and make your payments on time to quickly build your record. There are many credit card offers available, and the card that’s best for you is out there – you just need to search for it. Consider these important factors as you search for the right credit card, considering your spending, your credit score, the perks you’d like most, and how you’ll use your card to maximize its benefits. The right credit card comes with a lot of perks. In order to best compare your credit card options, search online for cards with low interest rates, impressive rewards options, and qualifications that suit you.